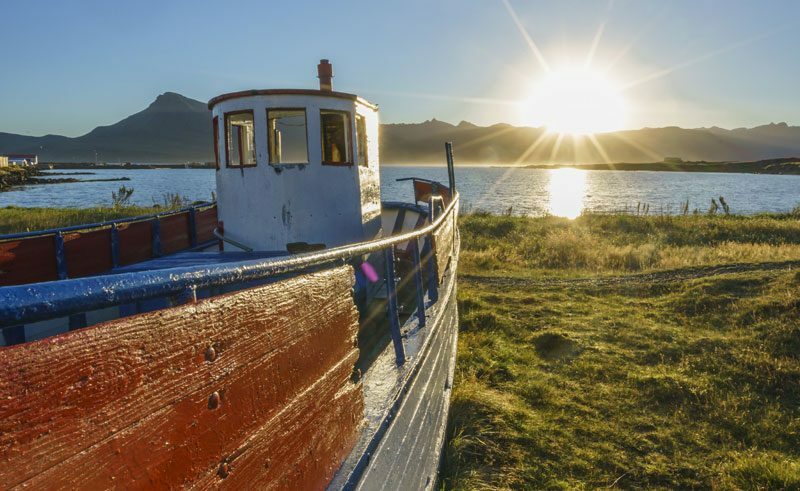 A mesmerising mix of mountains, fjords, waterfalls and wildlife, the East Fjords are scattered with idyllic fishing villages, while routes north and south connect you easily to Icelandic icons like the glacial lagoon and Myvatn’s volcanic wonders. 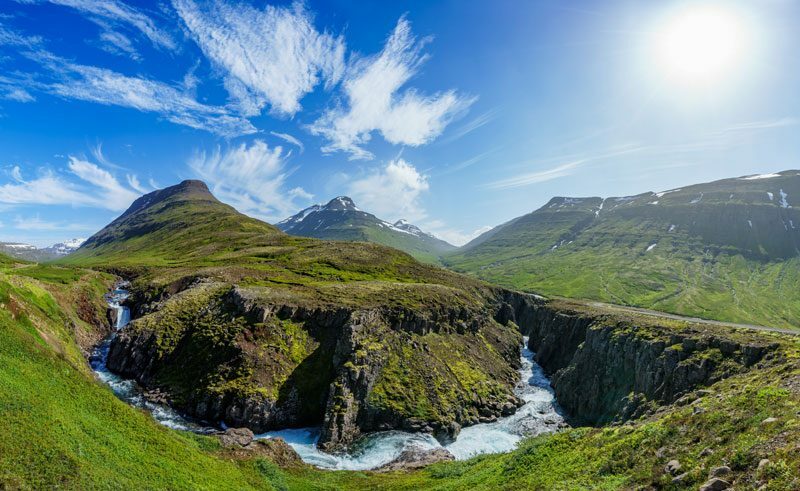 Perfect for ‘slow travel’, the East Fjords offer an authentic Icelandic experience, a chance to meet the locals and discover a less-visited side of the country. Our holidays taking in the East Fjords include fly drives and small grouptours and not only provide immersion in the kind of Iceland everyone dreams of, but they also introduce you to a quieter, less visited side of the country. Our fly drives give you exclusive use of digital guide called iDiscover, which is pre-loaded onto an iPad Air for use during your holiday. 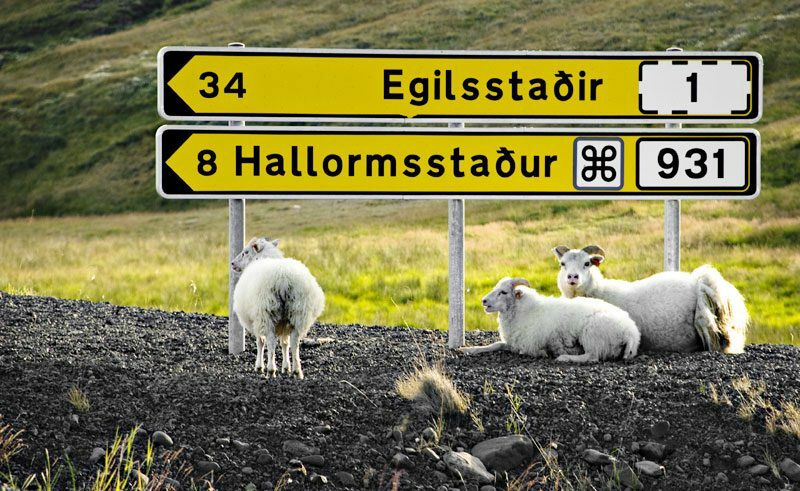 The main town in the East Egilsstasir is more than simply a transit centre. 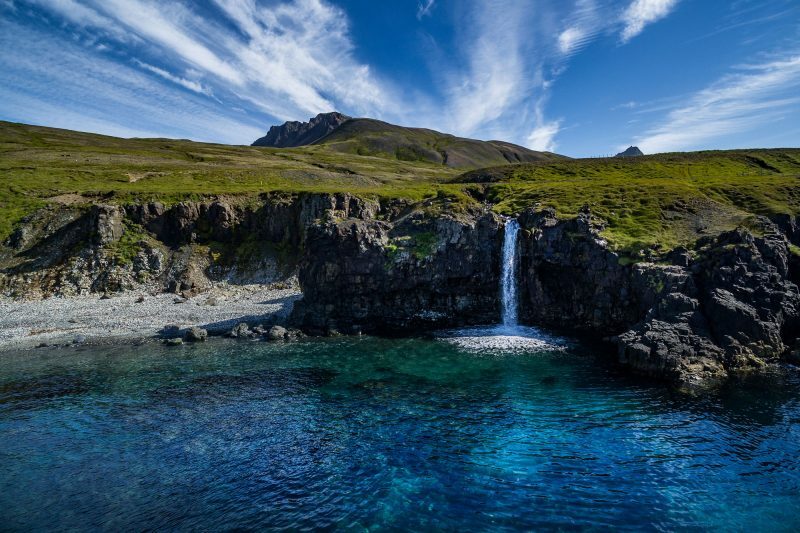 Use it as a base for exploring beautiful woodland, uncovering the legend of the lake monster or walking to 128m-tall Hengifoss, Iceland’s third highest waterfall. A tiny harbour side village, sitting on a rocky promontory, in view of the offshore puffin sanctuary of Papey (boat trips bookable locally). The surrounds of the village are a nature reserve, with stunning coastal walks and hiking possibilities. This eastern fishing town, set at the head of a 16km long fjord, is full of character, and is popular with young artists. Its brightly painted wooden houses of Norwegian origin are charming and this is a beautiful spot for a pleasant stroll, simply kicking back and relaxing. The drive here up and over the mountains before sweeping down to sea level is breathtaking. Also known as Bakkagerdi, this little town has a backdrop of colourful rhyolite mountains on one side and the magnificent Dyrfjoll (Door Mountain) with its cleft peak, on the other. 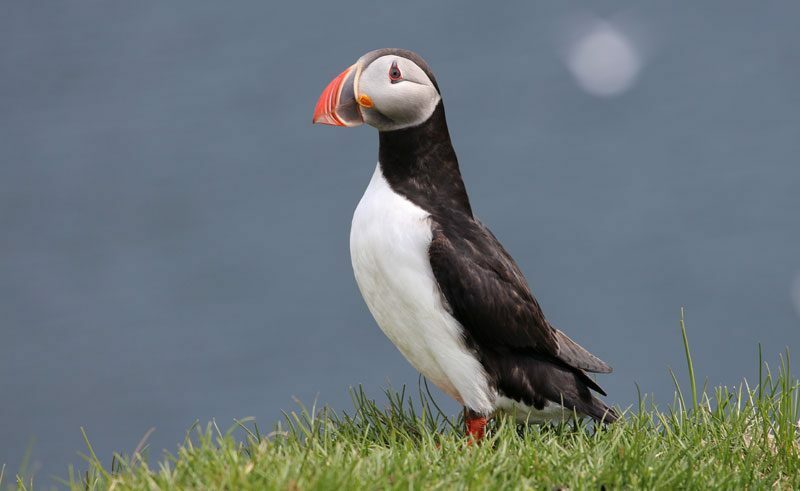 Healthy colonies of puffins, fulmars and kittiwakes ensure bird watchers are entertained and thanks to the glorious remote landscape the area is favoured by artists and hikers too. Visit the amazing turf house Lindarbakki; still lovingly cared for by its residents! Legend has it the elf queen resides in Alfaborg, a rocky mound in the village. This is the largest lowland area of the region and the mountains framing the valley are the highest in the region. For anyone interested in fishing, the salmon river, Breiddalsa is the most renowned and prolific of the area. The East Fjords are famous for their colourful minerals and beautiful crystals – visit the superb collection of the remarkable Petra Sveinsdottir, on display in her home and delightful garden, just above the harbour of this fjord side village. This has the largest population of any of the eastern towns and is a thriving fishing port. At the small Museum of Natural History, gain an insight into the flora, fauna and geology of the area and just outside of town, explore a nature reserve. An 18km long and 2km wide fjord edged by sheer-sided mountains which is well worth a visit. At the coffee shop in the village try the most fantastic waffles! At the mouth of the bay there is a weather station and a lighthouse. Found only forty minutes from Egilsstadir and sitting on the outskirts of Eskifjordur, these self catering cottages are ideally situated for exploring the many sights of Iceland's East Fjords. This hotel has 30 rooms in Iceland's beautiful Breiddalur Valley. Situated deep in the East Fjords in the pretty fishing village of Djupivogur, this charming wooden hotel has a selection of accommodation in 50 different rooms or houses. Dating back to the 19th century, this quaint hotel found beside the heavenly Seydisfjordur, has just 9 guestrooms available.